The Eco Hero Award, brought to you by Clean Coasts and Leave No Trace, recognises individuals that have taken environmental action within their chosen sport or outdoor pursuit, and encouraged others to follow their example. There are some people in life who really go above and beyond their call of duty to contribute something positive to our environment. These people generally fly below the radar and never look for thanks or recognition for what they are doing. But we reckon they deserve a big old bualadh bos (that’s a round of applause for those who don’t speak Irish!). The winner of this award will be chosen by judges from Clean Coasts and Leave No Trace and will be announced at the Outsider People of the Year Awards in the Sugar Club, Dublin on 30 January. You can buy tickets for the event here. In the meantime, sit back, relax, and be inspired by these incredible folks who are dedicated to making positive change. Louise Hastings from Louisburg, Co Mayo is the founder and motivator of the local volunteer group Keep Our Beaches Clean. Louise was out walking at Old Head with her mother and dogs one summer evening in the height of the good weather and was appalled by the sheer volume of rubbish that had been left behind. So, she returned home, logged on to Facebook and set her sights on solving this problem. Soon there were anywhere between five and 120 local volunteers picking up rubbish on Mayo’s local beaches on a given evening. And to further incentivise the volunteers, Louise gained the support of local businesses who offered up prizes which were raffled to those who committed to volunteering five or more times. Keep our Beaches Clean has picked up a staggering 2.5 tonnes of rubbish since 2 July this year. Check out the Keep our Beaches Clean Facebook Page for further details. Liam McNamara from Fanore, Co Clare, is a one-man beach cleaner/ comber who has dedicated much of his free time to the coastal environment and community in Co Clare. Liam’s passion for beachcombing began as a child when his father used to take them out. They would head out a couple of times a week and return home with as much as they could carry. “My father would always remind us to never leave with less than we came with,” says Liam. Liam, who spends a couple of hours every day beachcombing, focuses most of his efforts on the rubbish that is detrimental to wildlife like netting, ropes and rings of all shapes and sizes. He also links up with the BurrenBeo Trust for larger, more organised beach cleans. Liam will identify the worst spots for them to focus on and then promote the clean ups on his own Facebook page, which has a loyal following. Liam’s house is quite well known in the Fanore area as it’s the one with all the “rubbish” outside it, piled high waiting on the Council to collect. In a bid to further help Burrenbeo Conservation volunteers in their efforts to keep the Burren coastline clear of rubbish Liam even recruits a tractor driver on occasion to help them move the rubbish to the collection point. Check out Liam’s fantastic Facebook page called Burren shores – Beachcombing & more for more information. Lynn Haughton has always been at the forefront of raising awareness of environmental and upcycling issues and has carried out her work both in Ireland and further afield. 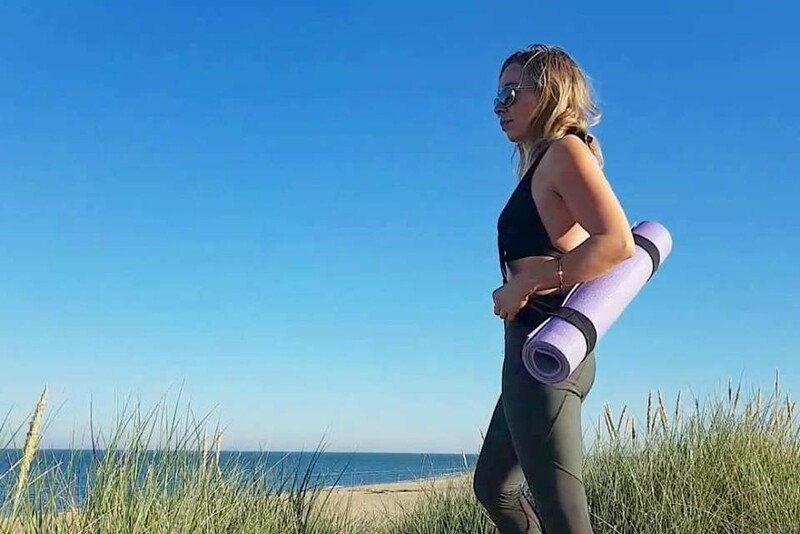 Her current project, the Neo Collection, involves re-purposing old wetsuits from outdoor pursuit centres into a variety of items such as bags, sunglasses cases, vanity bags and yoga mats. A portion of the proceeds from the sale of these items goes to Irish Seal Rescue. Lynn has been recognised as a designer and an entrepreneur, but many overlook her dedication and passion to protect the environment in her endeavours. Check out the Upcycle Movement for more information. 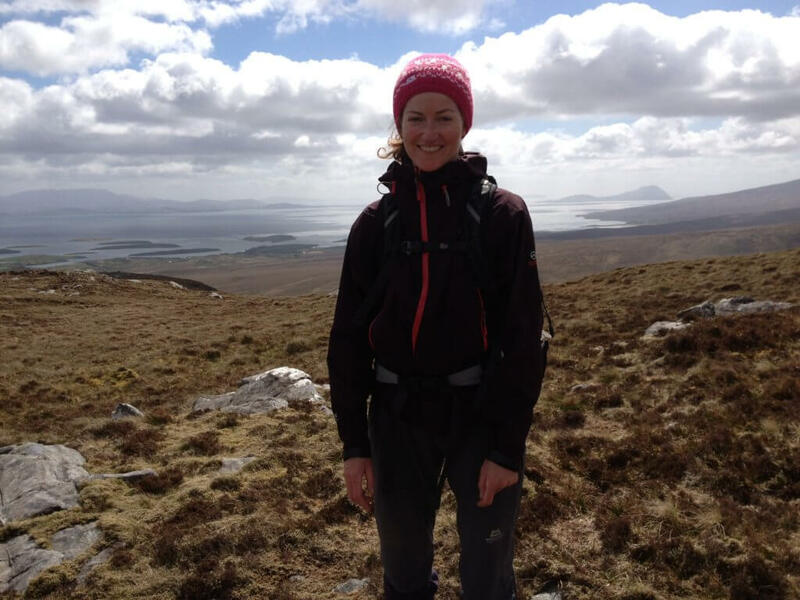 Georgia MacMillan is a freelance hillwalking guide and trainer, as well as a project manager for environmental and tourism products in the west of Ireland. Georgia and her partner run Terra Firma Ireland which offers hiking and stargazing tours, navigation training and wilderness and outdoor education programmes for schools and small groups. Georgia did a huge amount research into light pollution and dark sky opportunities in the west of Ireland which led her to establish Mayo Dark Skies community group. Soon after this was established Georgia applied for International Dark Sky recognition of Ballycroy National Park & Wild Nephin, working with stakeholders NPWS, Coillte, Mayo County Council, Failte Ireland and GMIT Mayo. This was successfully achieved with a Gold Tier Award in May 2016. Georgia continues to work on the development of Dark Skies in Ireland. Check out the Mayo Dark Skies website for more info. Proinsais Ó Tuama is a force to be reckoned with. He is a teacher, Climate Ambassador, the founder of the East Cork Biodiversity Networking Programme, the driving force behind the Young Reporters, Green Schools, Neat Streets and Water Ambassador Programmes for the Environment at St Colman’s Community College and has also founded two Clean Coasts Groups (St Colman’s Community College and Ballynamona). Proinsais has dedicated much of his spare time to these projects, all of which have had a huge impact on the local environment around east Cork. 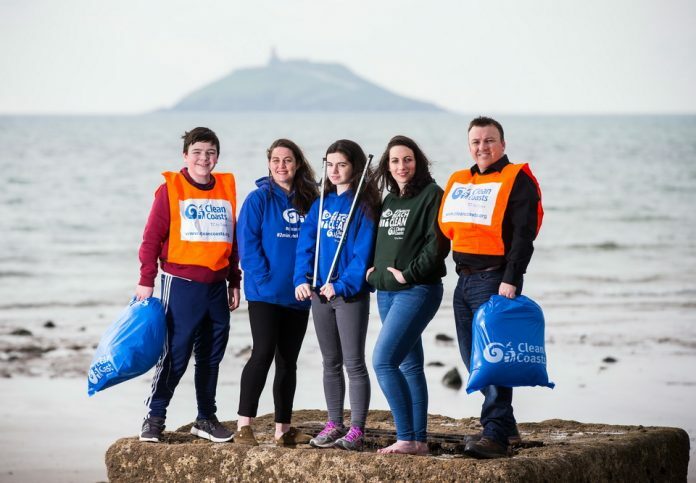 The St Colman’s Clean Coasts group has 520 students working across 11 beaches. 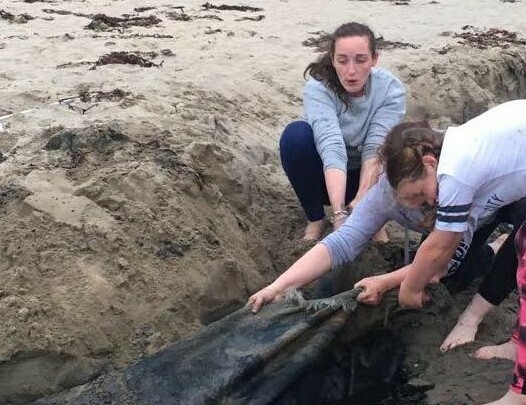 To date, the winners of the Clean Coasts Ocean Hero School of the Year award in 2015, 2016 and 2017, have spent 3,120 hours cleaning up the county’s coastline. His Green Schools initiative in St Colman’s has also proven to be a huge success. The school has eliminated all plastic cups and packaging on food. The mission of the East Cork Biodiversity Networking Programme (ECBNP) is to create a forum and collaboration space to share best practice, provide education and knowledge transfer, and to build relationships to foster enhanced biodiversity and environmental sustainability in the East Cork Area. Embracing a community-led and inclusive approach, the ECBNP aims to help link together individuals, groups, businesses, educational and government bodies to leverage synergies to meet their common goals. This award is supported by Leave No Trace Ireland and Clean Coasts. Leave No Trace Ireland is an outdoor ethics programme which promotes and inspires responsible outdoor recreation, through education, research and partnerships. Clean Coasts engages communities in the protection of Ireland’s beaches, seas and marine life. The programme is operated by the Environmental Education Unit of An Taisce. Liam McNamara. 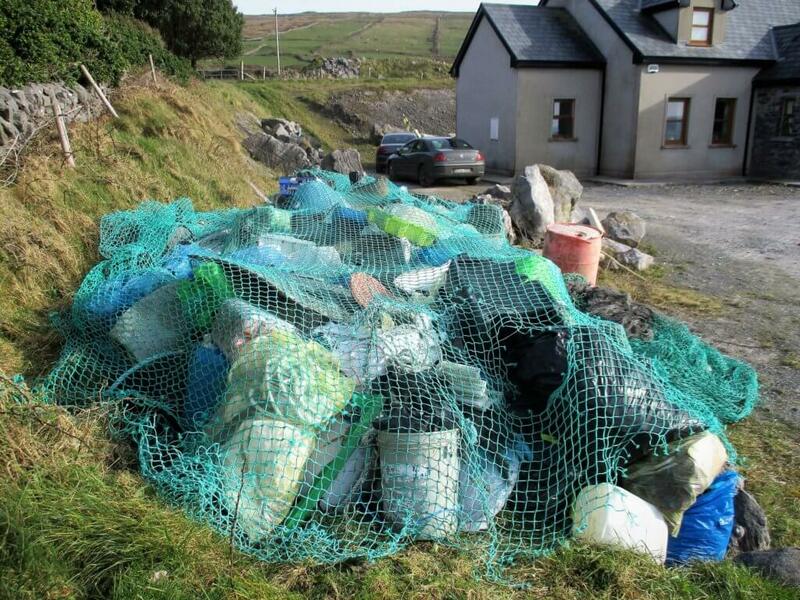 Incredible plastic tonnage removed from North Clare beaches.